161 – At 161,783 kph, last year’s was the fastest ever pole at Misano. 76 – The number of podiums for Ducati riders at Misano – an all-time record. The Italian manufacturer has 71 at Assen. 48 – Misano has hosted 48 WorldSBK races so far, and this weekend will equal Donington at 50 – third overall. Only Phillip Island (53) and Assen (52) have hosted more races. 28 – This is the track in which a single manufacturer has won the highest number of races: Ducati won here 28 times. Next up is also Ducati, with 25 wins at Assen. The best value for another team is 15 from Kawasaki at Donington. 27 – The number of podium finishes here for the two Troys: Corser (16) and Bayliss (11) at Misano. They are the only ones in double-digit podium figures. Among the current riders, Rea leads with 6. 12 – Ruben Xaus is the only rider who won here starting outside the top-10 grid spots. In 2003 he recorded the double, starting from the 12th grid spot twice. 11 – Ducati holds only two poles less than the sum of all its rivals (13). Curiously, the last two poles at Misano for the Italian manufacturer didn’t come from the works team: in 2009 Jakub Smrz recorded pole for Guandalini Racing, while in 2004 the Ducati poleman was Steve Martin for D.F.Xtreme Sterilgarda. 11 – Ducati was the sole winner here for 11 straight races: from 2001 Race 1 to 2006 Race 1. Andrew Pitt (Yamaha) broke the streak, taking his only WorldSBK win in 2006 Race 2. 8 – Eight years ago, double World Champion Jonathan Rea took his maiden WorldSBK win at this track. 45 more and two World Championships have since followed. 6 – Troy Bayliss is the most successful rider in Misano, with 6 wins spanning from 2001 to 2007, all scored with Ducati. 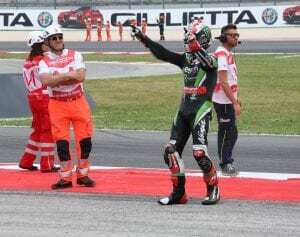 The second place (4 wins) is shared by Max Biaggi and Jonathan Rea, the latter being in the position to equal the record this year if he secures a double victory. 6 – Another Troy leads the standings for poles at Misano – Corser – with no less than six. His last one, in 2010, was of particular significance as it was the last of his 43 poles (an all-time record) and the first one for BMW. Tom Sykes – with 5 poles under his belt – can equal Corser’s Misano record this year. 6 – Kawasaki have won the last six races here, the second best string at this track. This equals the one set by Ducati from 1994 Race 2 to 1997 Race 1, and in the six races run here from 1991 to 1993. The record run stands at 11, set by Ducati from 2001 Race 1 to 2006 Race 1. 6 – The last six wins here have been from British riders (3 Sykes, 3 Rea, in this order): the best string for any country in this track. The previous record had been set by Australia, with 4 in 2006-2007 (Bayliss/Pitt and a double by Bayliss). 1 – There is only one rider in the current field who has qualified from pole at Misano: Tom Sykes, 5 times. He has recorded pole in each of his last five race weekends here. 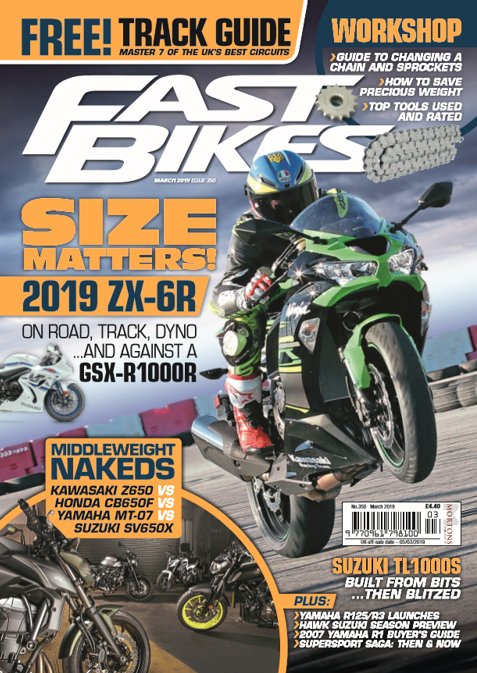 Previous Post:Save Money on Pirelli / Metzeler Tyres! Next Post:Ducati Supersport S Vs Rivals! Out Now!